One way to show membership in a fraternity is to wear an honor cord, or honor cords in the case that they are two colors tied together, on graduation day. This is easy to do with our multicolor braided cords, or by ordering a double cord and tying any of our vibrant colors together to get the combination you are looking for. Cords can even be triple tied with an overhand knot if you are looking for all three colors in one fantastic triple tied cord. 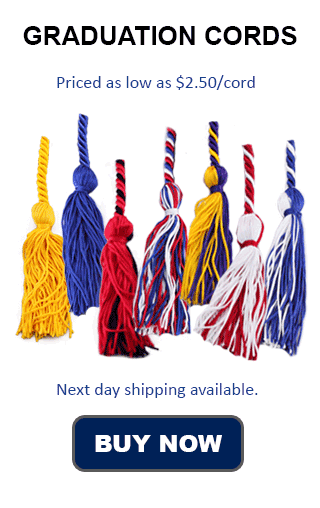 Whichever Fraternity you belong to Honors Graduation is your one-stop shop for Graduation Cord needs. We offer competitive pricing, discounts for bulk orders, and fast flat rate shipping. You can't go wrong with Honor Cords from Honors Graduation.